I read an article that described Basques as the Indians of Europe. I’d never thought about it that way before. Was there something to it? In the way the writer intended, maybe there was. Basques and Indians were in their places for a very long time, probably before anyone else. Archaeologists have found Navajo tools and Basque skulls dating long before Columbus or the Romans. Both groups had ways of living and speaking that didn’t seem to come from anywhere else, and both lived that way for millennia. Then outsiders and time came in and cleared it all away. The Basques are the Indians of Europe: I liked the idea. I’d grown up in the Western United States with Basque ancestry, and I suppose I felt a kind of solidarity with Indians. But when I did my own amateur archaeology and dug into it, the solidarity crumbled. I looked at my own life. 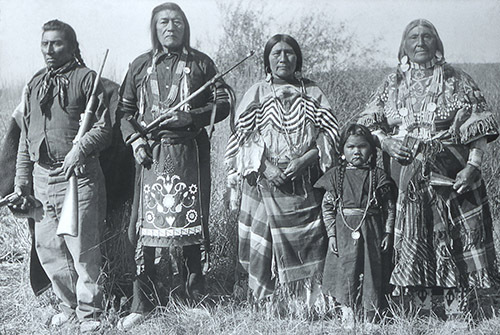 Shoshone and Bannock tribes lived close to my childhood home in Boise, Idaho. They might have been on the same spot where I played as a kid. What happened to them? Looking even further back in history, I knew Basques had a role in Spanish colonization in the Americas. It’s hard to stand with the indigenous when you’ve had all the advantages as a descendant of the newcomers. That was the history. I couldn’t change it. When I looked at the present, Basques and Indians seemed even less alike. In my experience, Basques have been a living people, filled with energy. I went to a festival in Tolosa in the Basque Country or in Elko, Nevada and had the time of my life. Everyone was happy. There was a lot to be happy about. The worst was behind them. Everything was ahead. They had a government. Kids spoke Basque. The ATM spoke Basque. There was a past, present, and future. Growing up in the West, Indians seemed only to have a past. Their past was also their present and their future. The kids from the Duck Valley Indian Reservation in southwest Idaho had a football team. They’d come to Boise on Saturday morning to play our team, and we beat them 56-0. We felt a little bad about it. What could we do? We didn’t think about their trip home. It was just one of all the ghosts. Another came one afternoon years ago, when I worked at a bar in downtown Boise. I unlocked the door at 3, and a tall man with black hair was waiting to come in. We were alone, and we talked as he drank and I set up for the day. A bar with only one customer is a confessional. The customer tells the bartender everything. He told me he was Shoshone, a construction worker out of work but looking. It wasn’t easy, he said, and I agreed, although I knew by then that reality is different for people in a bar at 3 in the afternoon. And as he talked, his reality seemed ever more different. We hit it off. When he was out of bills and started to count change, I bought him a beer. Maybe I shouldn’t have, because he didn’t need it. It was probably a small reparation. Then people started to come in for happy hour, and he left without saying goodbye. Later, when I finished work, I saw him alone in the alley, standing against a brick wall that was covered with peeled paint advertising a store that closed eight decades ago. He looked like somebody who wasn’t sure where to go. I haven’t forgotten that. Right or not, in your mind one person can be millions. I drew a line from that alley to every wrong that had ever been inflicted on Indians. In 1830, President Andrew Jackson signed the Indian Removal Act. It was a forced relocation. The Choctaw, Seminole, Creek, and Chickasaw tribes were cleared out and sent to Oklahoma. 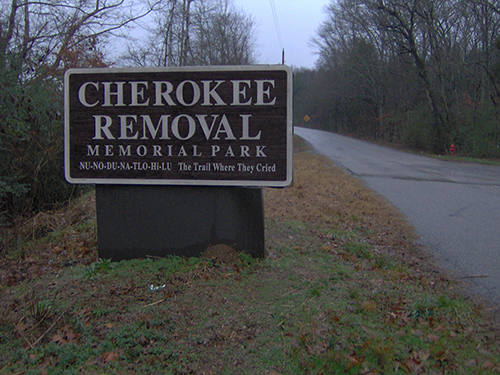 U.S. forces rounded up 13,000 Cherokees and sent them west during winter. It was a thousand-mile walk. Many were barefoot. They drank stagnant water from ponds along the way. About 4,000 died of disease and exposure. It’s called the Trail of Tears. You can go on for days and not come to an end. What about Basques? 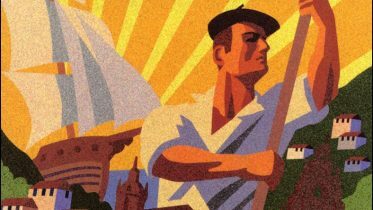 On April 25, 1937, more than 10,000 people were in Gernika for market day. In the afternoon, the German Condor Legion dropped bombs on them for hours. The town disappeared. The fires continued through the night and into the next day. They found the remains of 33, including two nuns, in the burning ruins of a Red Cross facility. They found the bodies of an engaged couple along the railroad where they had been shot as they tried to escape. You can go on for days and not come to an end. But remembering only does so much good. The Basques are the Indians of Europe: I think there’s something to it. The idea has made one thing clear to me. 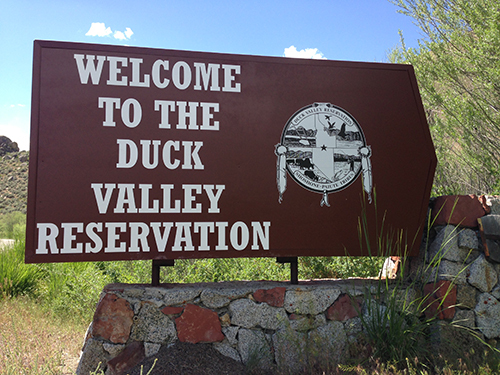 I was wrong about the Shoshone in the alley and the Duck Valley Reservation football team. I didn’t know them. They have a past, present, and future. Some tribes are wealthy, some are impoverished, some are active, some have living languages, and others are barely there. In 2008, the last speaker of the Eyak language died in Alaska. The Siletz tribe in western Oregon only has a few hundred speakers of its Athabaskan language, but now a few of them are teaching it in their schools. A German doesn’t have to do anything to be a German. A Basque or an Indian has to do something more. That can be a blessing or a curse. An Apache woman can move into a city, do nothing, and a piece of the tribe dissolves. Or she can do something else. Basques and Indians, separated by thousands of miles and years, actually might have a few things in common, a similar past and some of the same questions: Does your background mean something to you? And if it means something, what are you doing about it? 8 Comments on "Basques and the American Indians"
Great story Mark! I really enjoyed it. Just wanted to thank you for sharing your story and thoughts. It has given me a lot to contemplate. I try to pass down the values and stories handed down from my grandfather as well as the pride of being Basque. My two sons and I own Basque Boys Bobbers. It is a custom motorcycle shop that is just getting off the ground. When I started a Facebook page for the shop, I was immediately friend requested by Basque people all over the world. It is nice to feel this connection and, after reading your article, I plan do incorporate more Basque pride into the page. Nicely written, I’m an ex-pat American living in Bilbao. My wife’s basque and my kids speak Euskera. I guess it’s just not enough to defend your culture. A people need to adapt to an everchanging world. Maybe someday the indigenous American peoples will make a come back without sacrificing the essence of their cultures. The Basque people survived Franco, eventhough he prohibited their language and outlawed their cultural practices for generations. Now Euskadi is thriving. Who knows? In the future, perhaps the Indian tribes will too. As long as they keep teaching their children their languages, ways, and traditions, there’s always a chance. I was drawn in to read your article, as my father use to say back in the 60’s (half jokingly, half seriously) that he was a Pyrenees Indian. You see, my father suffered from heart disease that took him from an active hunting and fishing lifestyle to tooling leather for belts, purses and like items. He then took up making the Indian style beadwork with a beading loom he made himself. Over the years, like you, I have thought of the plight of our American Indians and have to agree with you in every way. I would love to see them embrace and share their heritage in a progressive way….like we do. I lost my father in 1978 but still have the beading bug. Loved the article. Nice article, I liked how you drew parallels, then pointed out the differences, just to come back again to the similarities between Basques and Indians at the end of the article. I must confess, I don’t know how much or how little Indians are doing to preserve their culture, but as anybody who’s spent even a few days around the Basque communities in the US knows, Basques are pretty awesome at keeping our groove going, don’t you think? Thanks for the article Mark. I’m incredibly proud to be Basque because of our past and future. Our past because of all of my amazing hardworking ancestors going back thousands of years without whom I wouldn’t be where I am, and the future because of the vibrant culture that is only getting stronger in the Basque country. Thanks so much for all the interesting comments. It’s been interesting to hear how many people have considered the same relationship. Unfortunately, I don’t feel as optimistic about the future of American Indians as I do about Basques, but maybe history will surprise me. That why is so important to do it ourselves no matter how challenging may seem. Only we can put our own. Our job it to sow.